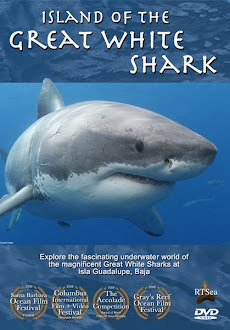 Shark Diver : Shark Diving : Swimming With Sharks: Shark conservation at Guadalupe? How many times do we have to put up with those idiots, diving outside the cages at Guadalupe. It seems like every week there is another article, glorifying that illegal activity. The latest installment of "look at me, I'm so cool" comes from "Fins Attached", a non profit out of Colorado, that is supposedly into shark conservation. "An ambush predator by nature, researchers have found simple eye contact keeps the massive predators at bay. “As long as you stand your ground and maintain eye contact you’ll see it coming toward us and it’ll just veer off,” Dr. Alex Antoniou, founder of Fins Attached, said." I guess the good Dr. is still new enough to think he's got the great white sharks figured out. What could go wrong?! But let's assume for a second that the guy is right. Can you tell me, how the guy in the video below is maintaining that eye contact? This is just another idiotic attempt at self promotion. These guys don't care that their actions endanger every other shark diving operator and in turn the sharks themselves. When someone is finally going to get hurt or worse, everyone might get shut down. If that happens, I doubt that the poachers will stay away for long and who's going to look out for the sharks and make sure, their fins do stay attached. 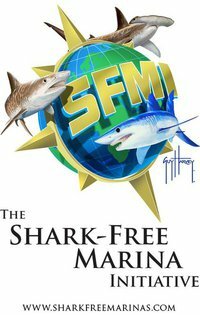 If you want to contact "Fins attached" and let them know, how you feel, you can contact them here. 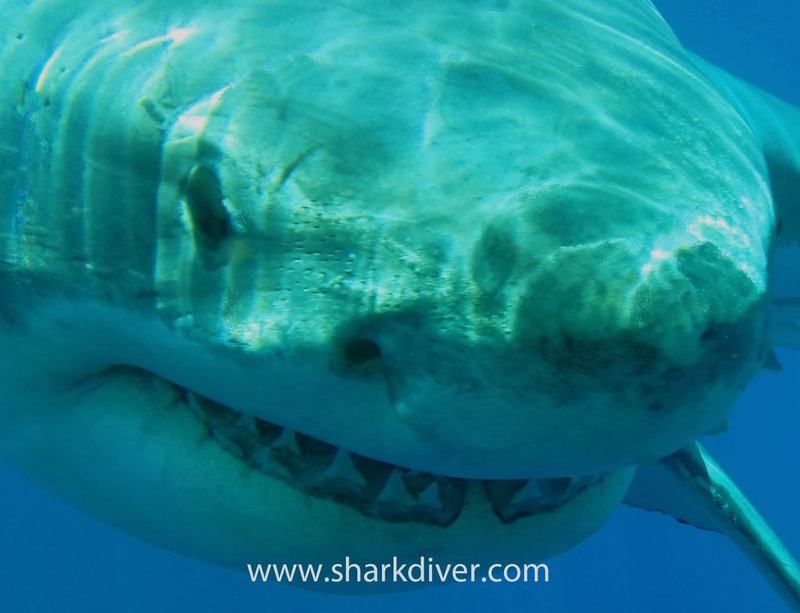 At Shark Diver we believe that only "safe and sane" diving with sharks can help conservation. These illegal activities are simply publicity stunts and do more harm than good. Why can't we accept these awesome White Sharks for what they are? They are predators, not harmless pets. Viewing them from a cage is legal, safe and you get plenty close to the sharks. Close enough? They swim right by the cages and look you in the eye. No need to go outside the cage and endanger everyone. Labels: bad conservation, Fins attached, idiot shark diver, illegal shark diving, publicity stunt. I agree that "safe and sane" is the way to cage dive. It breaks my heart that people think they can control nature. These creatures are not ours to control. They will do as they please and have every right to do so. We don't belong swimming beside them. Respect for these creatures means that you understand that they are the ones who call the shots. Not us. When one of these nitwits gets bitten, it will be another mark against the White shark. Instead, it should be a mark against the person/people invading their environment. To think that you can understand what they are thinking, predict what they will do, or stare them into submission is absolutely laughable. Would you expect to be able to do the same to a hungry grizzly bear, tiger, or lion? I doubt, highly, that they would even try. That's what is so mind boggling to me. How can you even consider the White shark to be any different than our most feared land animals? To do these things for self-promotion just puts these animals at greater risk. That's the scary thing. Go ahead and be an idiot, that's fine, but don't do it under the guise of conservation. It only hurts these beauties more. What a shame.